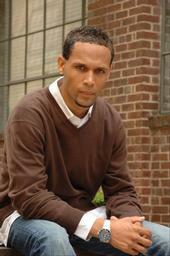 Cappriccieo M. Scates is Associate Director of Writer / Publisher Relations for SESAC. His direct signings include Day 26, RichGirl, Bone Crusher, Jacob Latimore, Q Parker of 112, Nikeshia Briscoe, Rico Love, Jay Fenix, BXC, Atozzio Towns and London to name a few. Prior to joining SESAC, he was Director of Operations for PM Music Group where he represented songwriters whose credits included Michael Jackson and Beyonce. He is former Director of National Radio Promotions for Ruffhouse/Columbia Records and has been responsible for promoting the careers of artists such as Fugees, Cypress Hill, Bone Thugs and Harmony, Alicia Keys and Boyz II Men. He is author of “10 Steps to Successfully Managing Recording Artists” (October 2004). He is on The Board of Governors for the National Academy of Recording Artist and Sciences (NARAS), Atlanta Chapter, and a member of The Georgia Music Industry Task Force, which serves to consult Georgia Governor Sunny Purdue on the economic impact of music, film and entertainment.